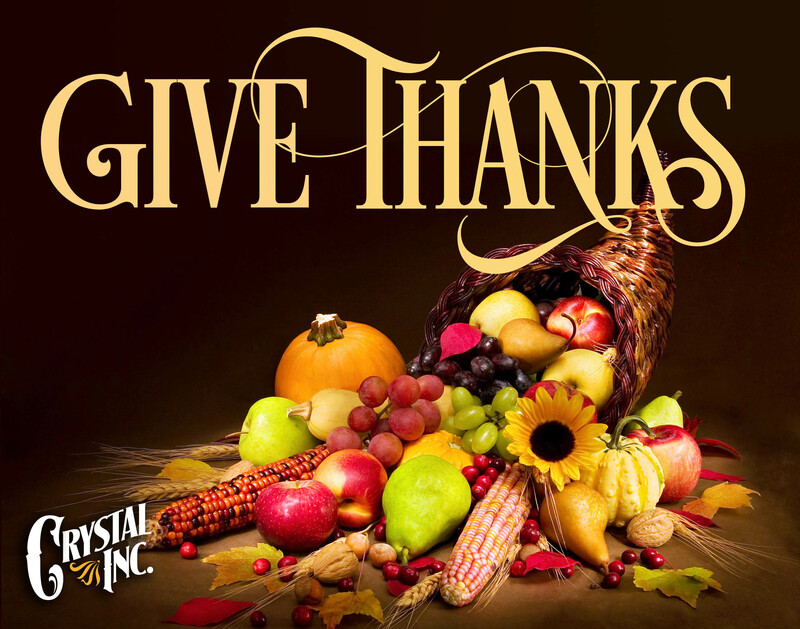 Happy Thanksgiving | Crystal Inc.
Posted on November 22, 2016 by Crystal Inc.
We have so much to be thankful for here at Crystal…so many wonderful friends who give us the privilege of helping them in their ministries and businesses. Our heavenly Father has definitely blessed us. All we have needed His hand has provided. Great is His faithfulness. In celebration of Thanksgiving, Crystal will be closed November 23-27, 2016. We will reopen Monday, Nov. 28th at 9:00 am. We hope you have a blessed Thanksgiving with family and friends.